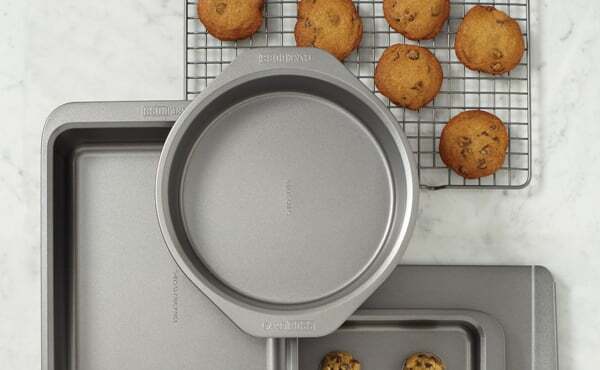 Bake perfect cakes every time with cake pans from Cookware Brands. We provide customers with a comprehensive selection of shapes and sizes, stocking high quality, heavy gauged options that will provide many years of repeated baking pleasure. Choose from round, square and rectangular options from reputable brands such as Cake Boss, with features including soft touch handles to facilitate easy carrying, and springform designs that allow for simple, fuss-free removal of cakes.